Dog gift basket ideas is a sponsored conversation written by me on behalf of The J.M. Smucker Company. The opinions and text are all mine. 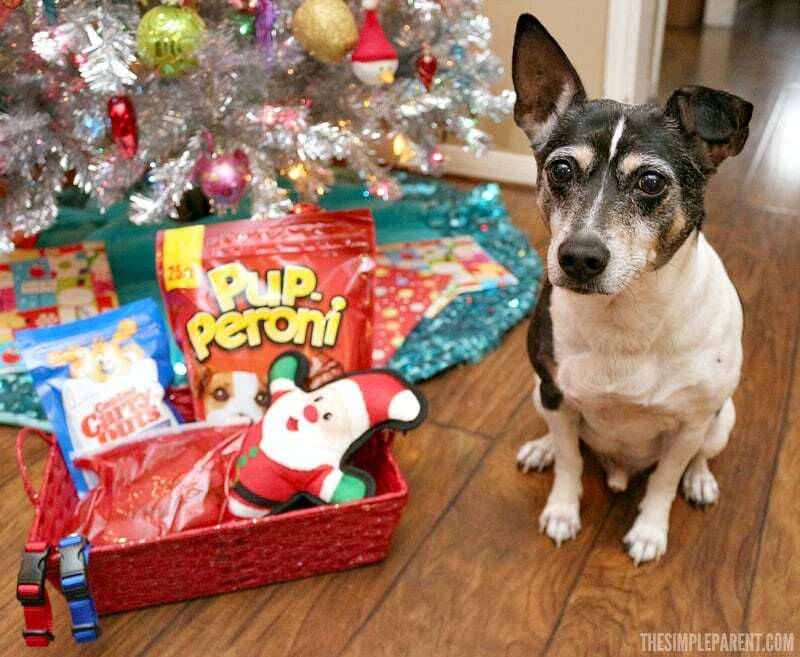 If your dog is part of the family the way Sebastian and I are around here, then I can promise you that your dog will love these pet gift basket ideas. If you want to make them feel extra special this holiday season, then follow the steps my family took to make your own special gift! My family is always telling me what an important part of the family I am. They also tell me to stop tearing up the empty toilet paper rolls. I like to think that kind of thing is one of my endearing qualities but I’m not quite sure. I was part of the family for years before Weston and Carrigan joined us and my mom has always enjoyed the holiday season. She’s enjoyed making me wear reindeer headbands, elf collars, and making that snowman play the song that I just can’t help but howl along with. When it comes to the holidays, she’s a huge fan. I don’t mind really because she always makes sure I get some special treats! My mom loves all the special holiday shaped toys and treats, so Sebastian and I get to enjoy our fair share. Well, he usually tries to steal mine so I’m pretty sure he gets more than his fair share. Sometimes having a little brother is rough. But my favorite part of the holiday season is that we always get a dog gift basket. It doesn’t appear with the rest of the presents. But on the day when the kids are ripping up all that paper, a special gift always seems to appear for Sebastian and I. 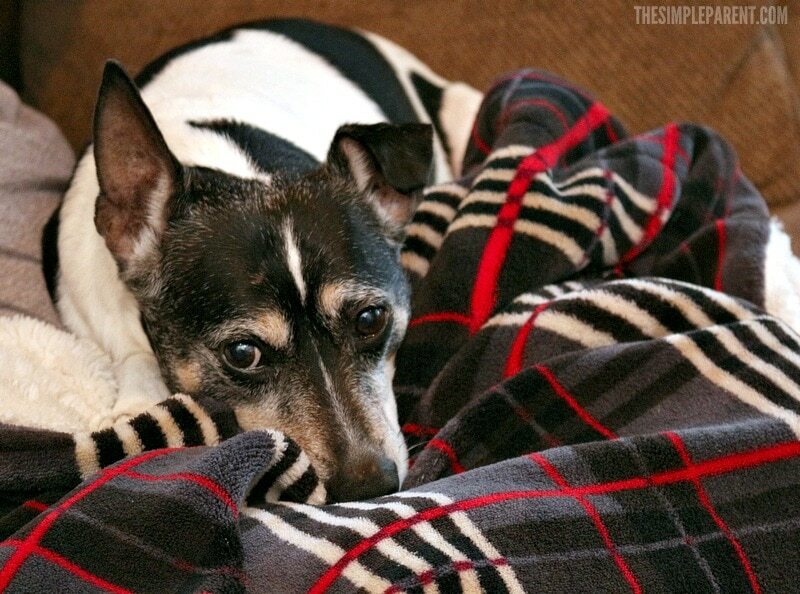 If you want your dog to feel special, then we highly recommend you make a gift for your pets! 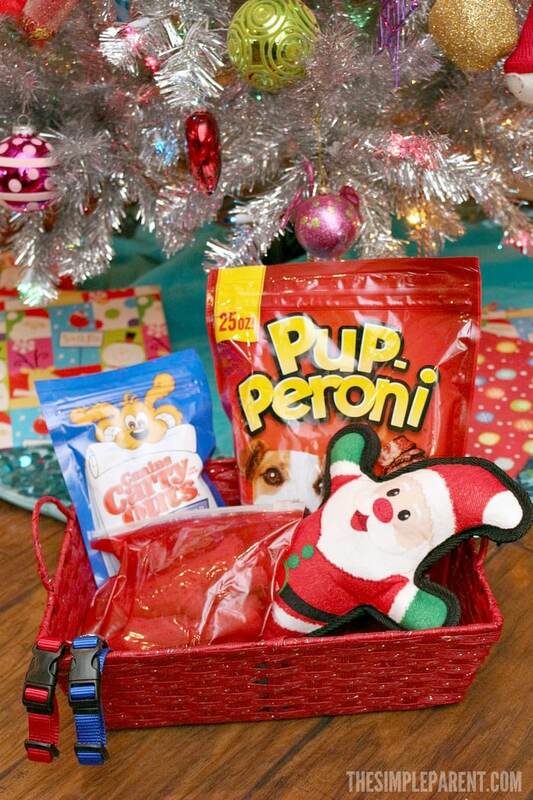 We’ve even got some of our favorite pet gift basket ideas to help you get started! 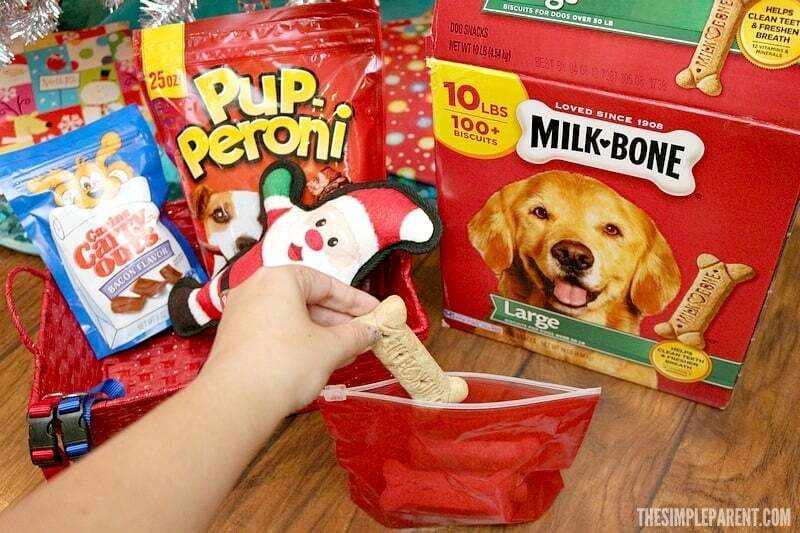 Making your pet gift basket for the holidays is super easy! I’ve watched my mom do it (just don’t tell her)! 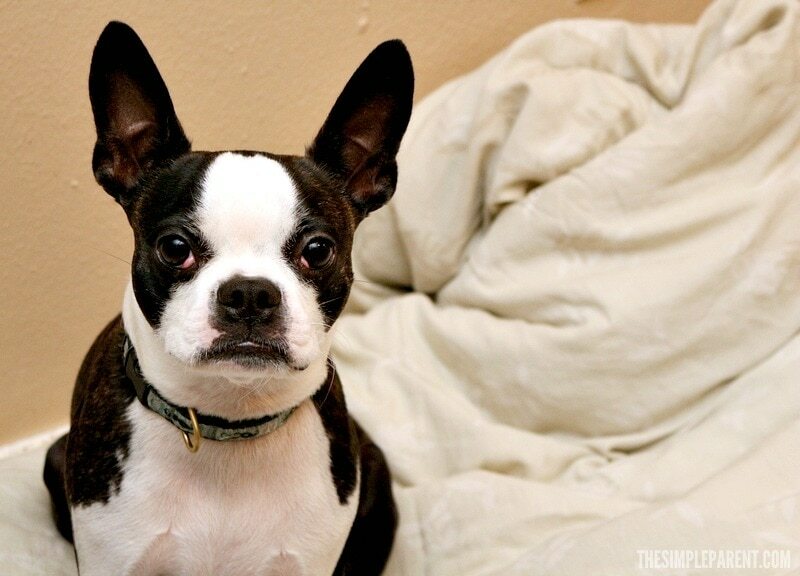 Follow these easy steps and you’ll have your dog feeling like the star this year! 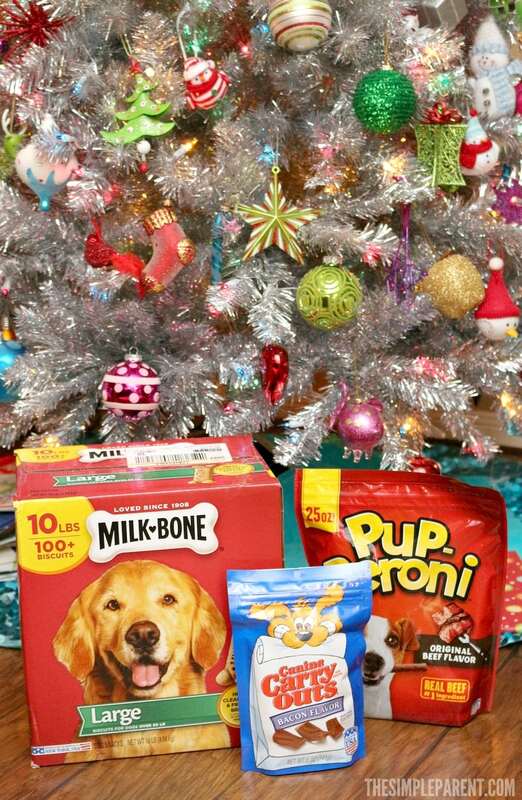 Collect some of your dog’s favorite snacks and treats. In my opinion, this is the most important part. Sebastian might disagree because he’s a huge fan of ripping up toys, but I love my treats. So start by picking out some of your dog’s favorite treats. This year my mom has already gotten some of our top picks! Sebastian is a huge Milk-Bone fan. He loves that they’re for dogs of all sizes. 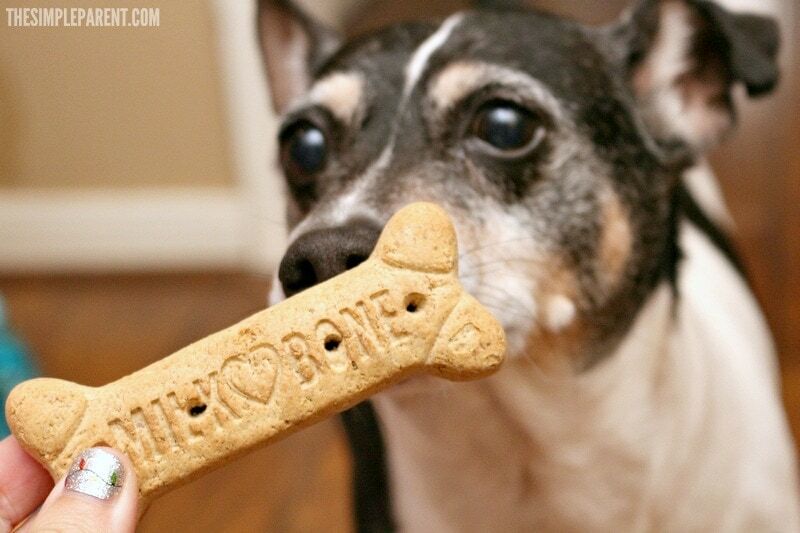 Our mom loves the teeth cleaning and vitamin-enriched goodness we get from Milk-Bone Original Dog Snacks! My favorite is Pup-Peroni Original Beef Flavor. I’ve been a longtime fan of the real beef being the #1 ingredient. The flavor is one you just can’t beat. But I also love bacon. I’ll admit it. So those Canine Carry Outs are perfect. They’re made in the USA with real bacon and they’re perfect for on the go. They’re definitely my travel treat of choice! It’s all pretty perfect really because my mom is always talking about how she just can’t resist buying us our favorite treats when she’s at Walmart. 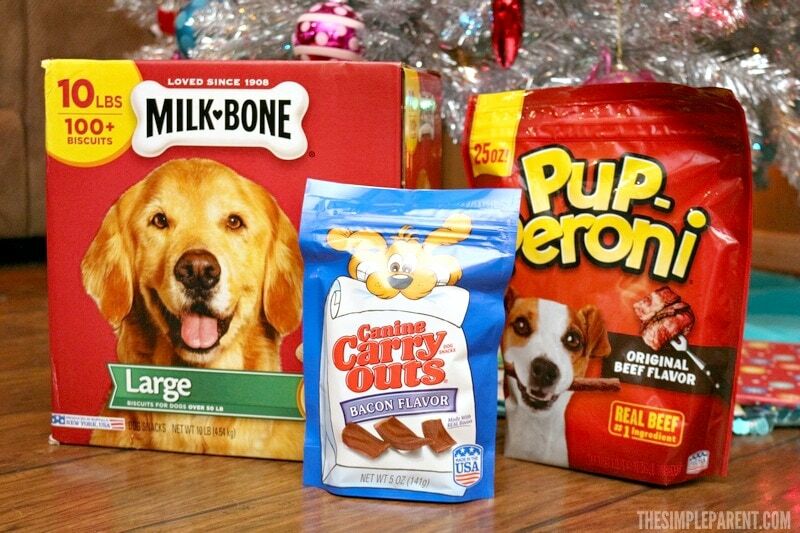 You can pick up your favorite dog treats at Walmart too! Choose a special toy or two. I know I said Sebastian loves a good dog toy, but I’ll keep it real and admit that when I’m in the right mood, I’m a huge fan. I’m the older brother (I just turned ten years old) but sometimes I just have to get in there and play too! So be sure to add at least one special toy (or two if you have two dogs like we do) to your holiday dog gift baskets! It’s one of the easiest dog gift basket ideas because there are so many toys to choose from. I know because my mom talks about all the ones she wants to buy and how hard it is to decide! Don’t forget pet basics like collars! Or splurge on a sweater! Okay, I don’t know if a sweater is really what I should be saying is a good idea but it is a great addition to these dog gift basket ideas if your pup likes those kinds of things! My mom usually gets us a new collar and a new tag with our name and phone number. 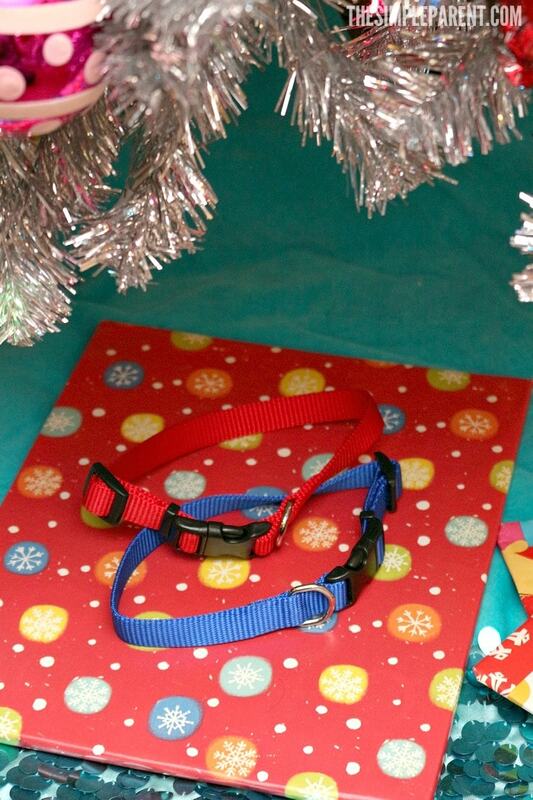 You can even get a holiday collar or just go with a new, bright red one! Yes, that’s on my wish list this year! Basics are a great thing to include to fill up your holiday basket because they’re practical but also nice to get! 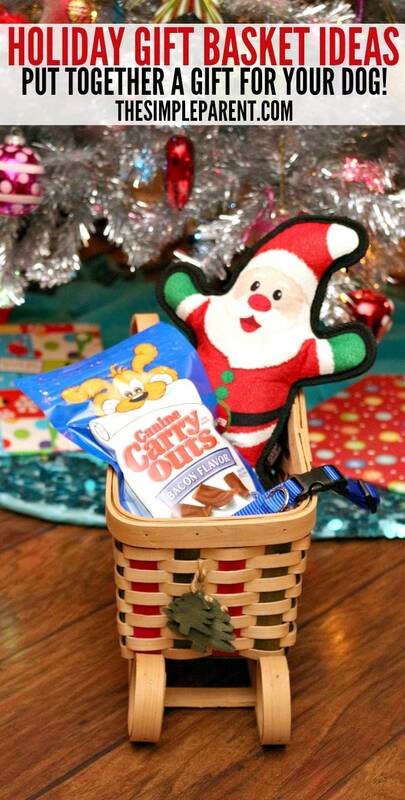 Find a basket or stocking to fill with all of your goodies! Once you’ve been to Walmart and gotten everything you need to check off all of your dog gift basket ideas, the crowning moment will arrive. You have to find a basket or stocking that makes it look festive and fun. Don’t stress too much about this part. Keep it simple, like we do around here. A stocking is definitely a fun way to do a holiday gift, but my mom has found some nice holiday baskets too. 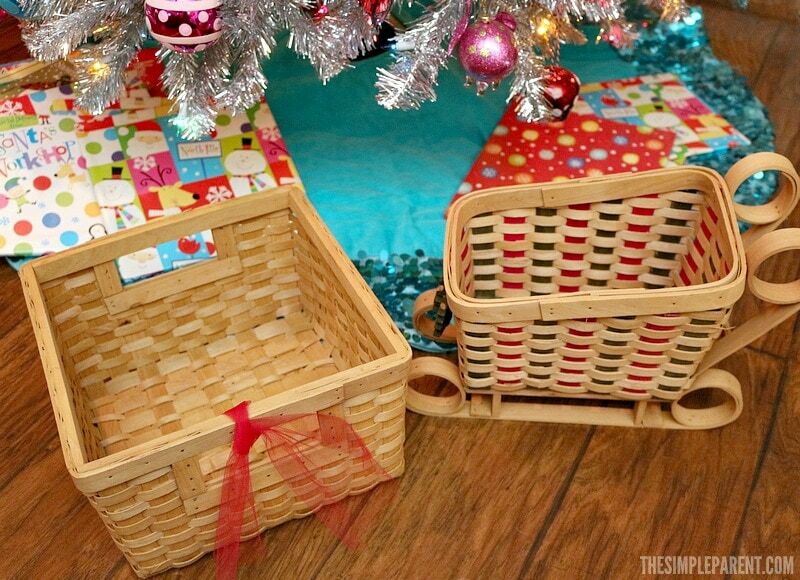 Trust me, the basket part is more for you or the other pet owner you’re giving the gift too. I’m more concerned with what’s in it! 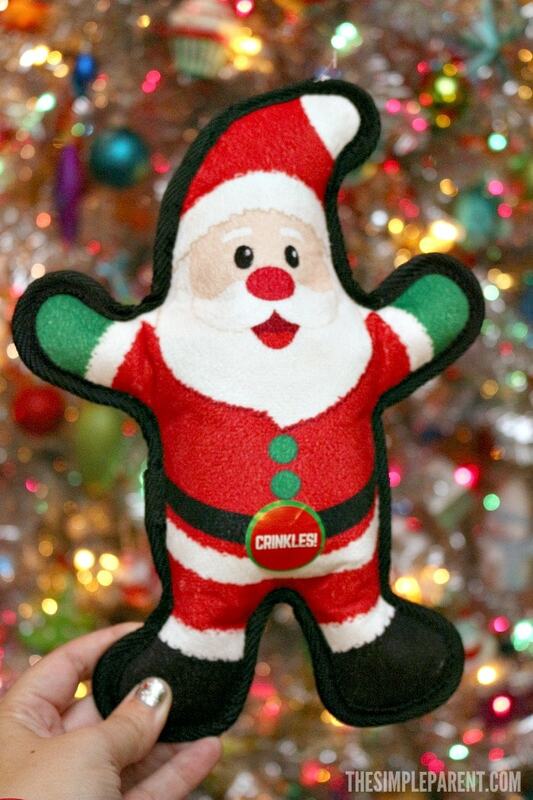 You can always add things like ribbon, a gift tag, or even an ornament tied to your basket to add a festive touch! I can’t imagine my life without my family and during the holiday season, I love that they include me in the fun. I love them. Unconditionally. I’m pretty sure they love me too. The holiday season is definitely a wonderful time of the year! Showing the people you love how much you love them can be so much fun. I love snuggling up with my family with the lights of the tree glowing in the room. We hope you have a wonderful holiday season with the ones that you love! Check out more of our pet life!